Johns Manville (JM) will showcase a range of its composites technology at JEC World 2019. The technology includes the company’s existing OS-6 series and the new NCF-6 and CR-6 series. 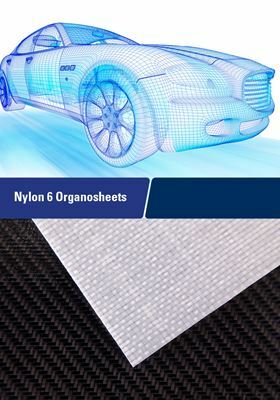 OS-6 series is an AP nylon composites sheet reinforced with continuous woven fabric and impregnated with complete fiber impregnation, while the new CR-6 series has a chopped roving (CR) reinforcement. The NCF-6 series is reinforced with continuous non-crimp fabric that is not conventionally possible with organosheets, JM says. This story is adapted from material from Johns Manville, with editorial changes made by Materials Today. The views expressed in this article do not necessarily represent those of Elsevier.